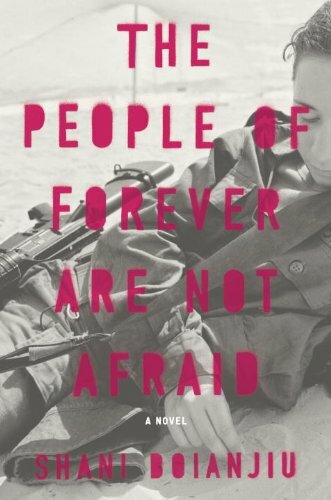 Even before I sold my book, I think, I mentioned to my agent how much I loved Rachel Papo’s photographs of female Israeli soldiers from the project Serial No. 3817131. I noticed them years before, and I think Papo took them close to the same time I myself was a soldier in the army. The details in them felt familiar, as if she was photographing my own service. Except she got to take pictures from moments in which an actual soldier would not have had access to a camera. When it came time to decide on a U.S. cover, I mentioned the photographs again. At first, my editor said they were thinking more along the lines of doing an illustration—I think so people wouldn’t confuse the book with a nonfiction book. But I didn’t like any of the illustrations. 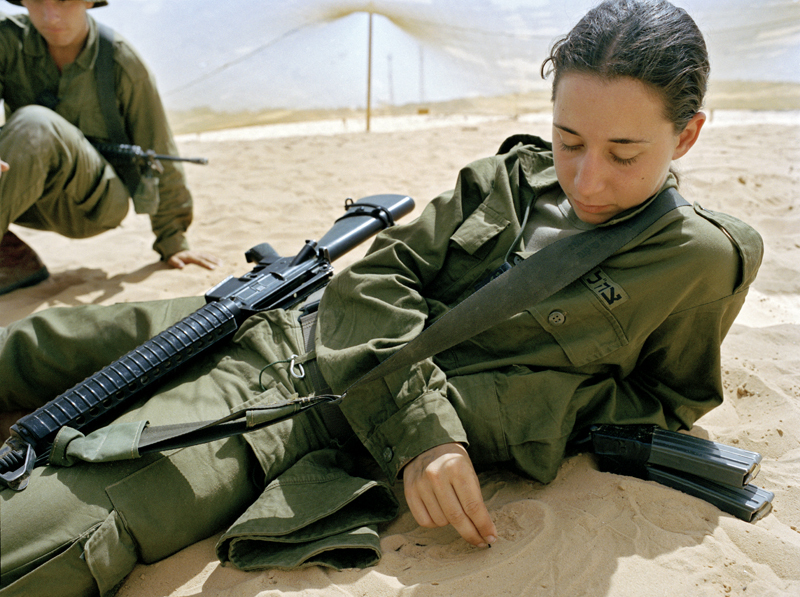 It is hard to capture an image that is female, a soldier, and Israeli at the same time. Then they took their own photographs, of a girl in a tank top wearing a dog tag, but it just did not look like an Israeli soldier, and I didn’t like it. At the end they chose to use one of Papo’s pictures, completely independently, I think, of my suggesting these photographs to them. This wasn’t one of the photographs I chose first, but it was the one they chose and I like it. They also created a font and chose a color for the title and placed it on the photograph. I think I like the cover; I certainly like the picture, as I do all of Papo’s pictures. But then again I am not at all a visual person so what do I know? This soldier is resting in the shade during a hot October day. Her unit is out in the desert training for their first hand grenade throwing. It was so hot that day that the soldiers were commanded by their officers to drink a full canteen of water every half hour to avoid dehydration. They all seemed exhausted. When I told the group that I was working on a project photographing girls in the army, one soldier laughed and said: “We realize we are girls only in the shower!” This particular soldier was sitting quietly, not interacting with the others, drawing circles in the sand with a burnt match, alone with her thoughts. I noticed a faded stamp on the back of the soldier’s hand—perhaps a remnant from a night out to a club with friends back home on a Friday night.